Download and install the Inventor app. Head over to link and create an OpenBOM account using email. Start Inventor, open the OpenBOM Settings dialog and enter the exact email and password used above. Use the Create Account or Forgot Password options as needed. 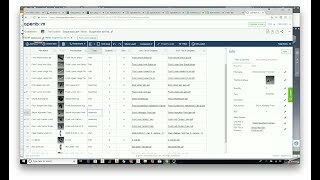 Begin creating BOMs using OpenBOM. With OpenBOM your company will be better organized than ever possible using spreadsheets. OpenBOM is much simpler to use and more affordable than traditional PDM, PLM, and ERP systems. Be sure to send email to support@openbom.com if you have any problems. Note: This app uses a custom installer and not the Autodesk App Store standard installer.